If you are a step-parent considering adopting your stepchild, the Law Offices of Baden V. Mansfield can help you through the process. A step-parent adoption means you will have the same rights as the biological parent. You will be the legal guardian of the child regardless of if the marriage ends in divorce. You will be accountable for the child financially and also emotionally. You will have custody or visitation rights in case of a split between partners. This is a very big decision and a long process because of all the implications it has for you and your family. 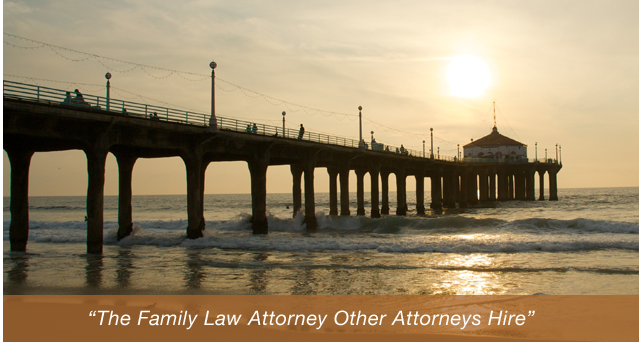 Our Manhattan beach step-parent adoption lawyers will be able to work with you to determine whether step-parent adoption is right for you. If you decide to adopt your stepchild, our team can help work out every detail and ensure that the adoption process goes smoothly. To learn more about what we can do for you and your family, call us today at (310) 546-5858. Step-parent adoptions are governed by state law. In order to be able to adopt your child and gain parental rights equivalent to the biological parent, you will need to undergo home studies, submit to criminal background checks, and satisfy other requirements. This process is time-consuming and confusing. There are lots of deadlines and paperwork that needs to be filled out. It is not an easy process and any small mistake or missed deadline can have detrimental consequences to your adoption process. By having an attorney to represent your interests, you will be able to learn about what to expect, what your rights are, and what requirements you will need to satisfy to be able to adopt your child. You need an attorney that knows adoption law and will be able to help you through your legal process. They will be able to fill out and file all necessary paperwork, ensure you don’t miss any deadlines, and represent you in court if necessary. Instead of trying to fumble through the adoption process on your own, let an attorney take the stress and confusion off your shoulders and get you the outcome you want. Attorney Baden V. Mansfield has decades of family law experience handling cases just like yours. He has the resources, knowledge, and experience that has helped so many clients in the past. He has earned a reputation for being a trustworthy attorney that delivers results. He understands how important family is and how crucial it is to be able to complete the adoption process. Join the thousands of clients that he has helped. Having a trustworthy attorney with vast experience in the field guarantees the best outcome possible for your case, which means a quick, easy, stress-free adoption. Many step-parents feel that their stepchildren are their own biological children, but that isn’t true in the eyes of the law. Adopting your stepchild gives you legal rights to make medical, educational, and other decisions on behalf of the child. It also gives your child inheritance and benefit rights that they could not otherwise have. Furthermore, it shows your child symbolically that you consider them to be your true child and you intend to remain in their life forever. Obtain Consent: A child may not have more than two legal parents. Therefore, if their other biological parent is still living, they will have to forfeit their own rights to the child. If the other parent refuses to give up their rights, you will have to show the court why their rights should be terminated. This may involve demonstrating abandonment or abuse. A lawyer will know how to best go about completing this step. Prepare Documentation: You will also have to demonstrate to the court that you are fit to adopt the child. You may have to present documentation proving your relationship with the child, your financial stability, and your ability to provide a safe and comfortable home. Your lawyer will know what evidence will be necessary in your case. File Petition: To adopt your stepchild, you will have to formally request permission to adopt them from the court. A lawyer can help you fill out these forms and file them properly. Complete Requirements: After formally requesting permission to adopt your child, you must comply with any other requests the court has. This may include attending hearings, hosting home visits, seeking family counseling, and more. The best way to ensure you complete all these requirements promptly and correctly is to obtain the help of a lawyer. If you are considering adopting your stepchild, contact the Law Offices of Baden V. Mansfield for help. Our adoption team can guide you through the complicated adoption process and ensure that your stepchild becomes your true child in the eyes of the law. To learn more about what the adoption process will require and how we can help you through it, contact us today at (310) 546-5858.